Gages are like extra sweet juicy plums with a fantastic flavour. Pixy root maidens or two year trees on St Julien A or Pixy rootstocks. 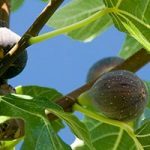 St Julien A rootstock produces bushes or half standards 3.5-4m (12-14 ft) high, and is also suitable for fans. Pixy is a semi-dwarfing rootstock producing bushes 2.7-3.6 m (9-12 ft) high. 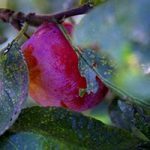 See damsons and bullaces, and plums also for cross pollination possibilities. Some of the varieties below require cross pollination; choose a variety with the same or an adjacent flower group (eg. ‘B’ will be pollinated by A, B or C). sf = self-fertile, psf = partially self-fertile, ss = self-sterile. Bullaces and damsons are hardier and thriftier than plums and are rarely troubled by diseases.